Size of this preview: 800 × 420 pixels. Other resolutions: 320 × 168 pixels | 640 × 336 pixels | 1,024 × 538 pixels | 1,919 × 1,008 pixels. 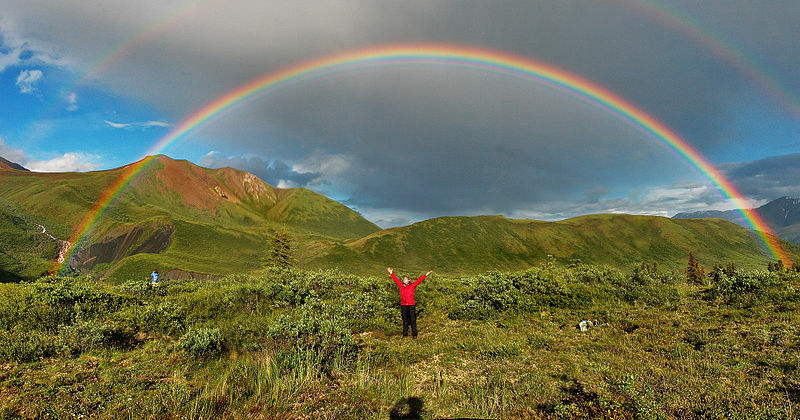 English: Full featured double rainbow in Wrangell-St. Elias National Park, Alaska.